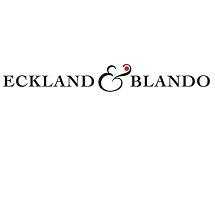 The attorneys at Eckland & Blando provide experienced, aggressive, and responsive legal services to businesses throughout the United States. Our practice focuses on addressing contract matters, Government regulations, and other commercial disputes affecting all aspects of our clients' businesses. Eckland & Blando has a national reputation for winning complex cases in the highest courts. Our attorneys have more than three decades of experience representing clients in commercial disputes. We have successfully litigated complex contract and regulatory disputes against private businesses and the state and federal government. This includes winning substantial judgments at trial. To date, Eckland & Blando has secured more than $500 million in judgments and settlement proceeds for our commercial clients in contract disputes. Our success has helped shape contract law in the United States and the manner of doing business with the federal government.